Hey Rebels! 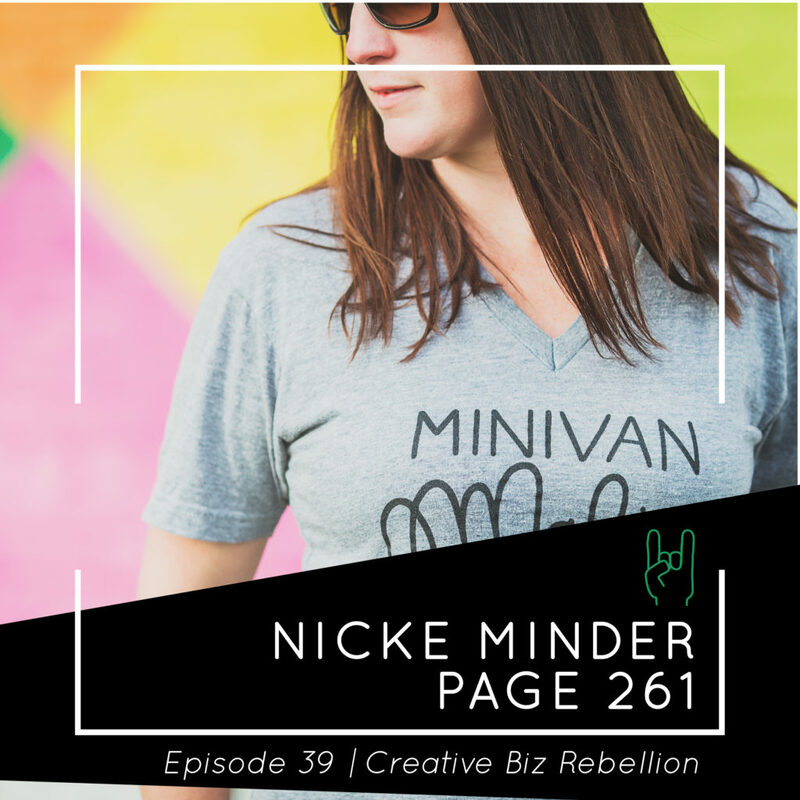 Today we chat with Nicke Minder. Nicke, the owner of page261, designs coffee mugs and apparel for the ladies that love monochrome and sarcasm! Best known for Minivan Mafia® and No Shame in My Mom Game (both seen in Huff Post Parents) page261 designs items you can relate to on a personal level. Pieces that can speak for you in times that you may not be able to find your voice. Through lots of laughter, sometimes tears, and a no BS attitude, page261 keeps it real when life seems anything but! When she isn’t slinging mugs and tees Nicke can be found lifting heavy weights, drinking a glass of red wine, or negotiating wearing pants with her toddler. If you have a second please jump over to iTunes and leave us a 5 star review! Click on the link and then click on “view in iTunes” to leave us a review. We give you all the virtual fist bumps. Thank you!